Hunting accident gone wrong... or maybe just right? Hmm... is that the banjo from Deliverance I hear? 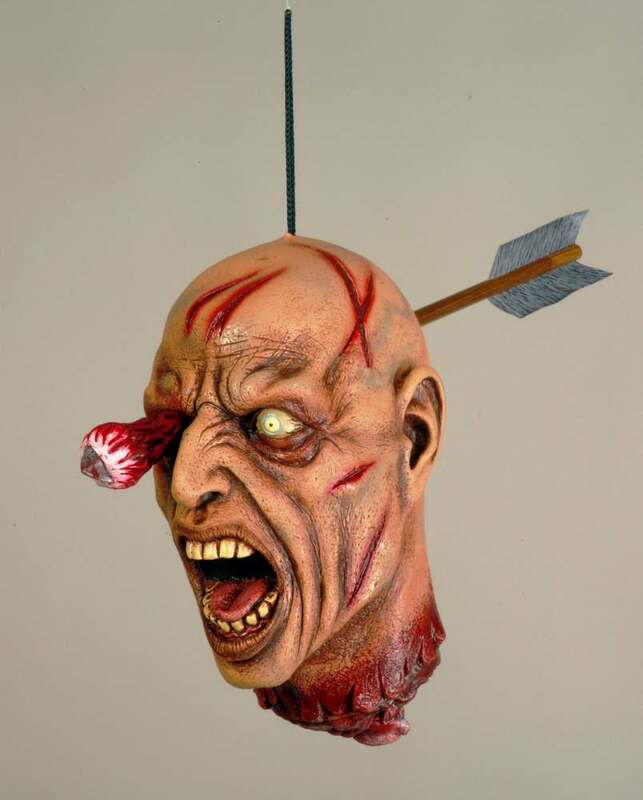 This slightly smaller than life-size head has an arrow coming straight through from the back that popped the eye right out of the socket... gruesome!